There's a group of authors that I'm part of online - and as occasionally happens, the discussion turned to the merits or otherwise of self-published books vs books published by the Big 5 print houses. 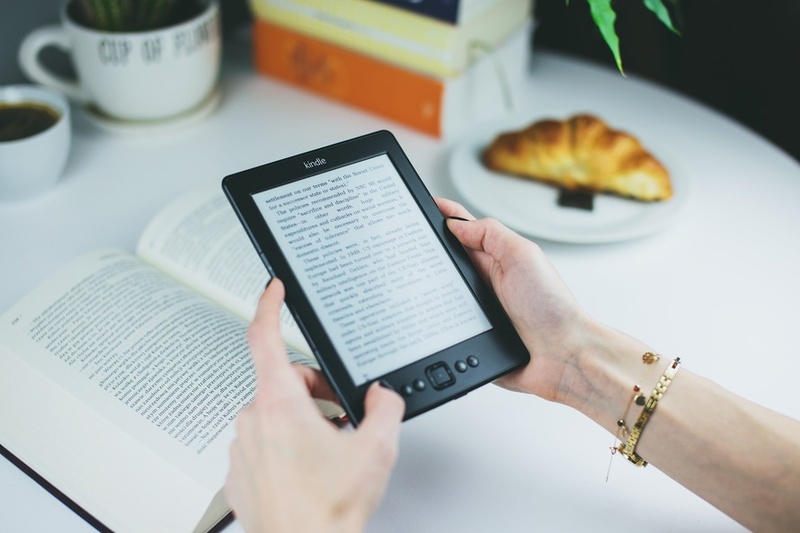 One author posted a link to a New York Times article about how people aren't buying ebooks, while another countered with an article showing that people very much are buying them and it's only the Big 5 that people aren't buying from. But what struck me after that was how one commenter, an author themselves, said they would trust the Big 5 first and that they had never read an ebook. 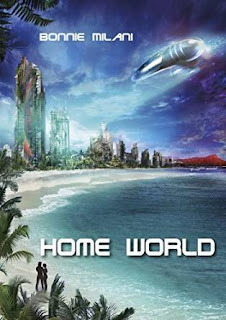 Now, I'm not at all about to criticise the Big 5 houses in publishing - they've been at this game a long time and know what they're doing - but there are genuinely good reasons to try indie ebooks, so here's a few you might ponder next time you're browsing those virtual shelves on Amazon, Smashwords or your retailer of choice. The other day, I was browsing through my local bookshop. I live on an island, and the selection of books isn't always the greatest. It's still good enough for me to have picked up the hefty first book in a Brandon Sanderson series from Tor but hey, sometimes the range feels a little lacking. You may live next door to the swankiest, most substantial Barnes & Noble that has ever been built but you know what? Inside those doors, even if they are a gateway to a virtual Alexandrian cornucopia of literature, you won't find every author, and you might just be missing out on voices worth hearing. There are authors out there well worth your time even if they don't have the Big 5 Seal Of Approval stamped on their paperback hearts. I've discovered writers from around the world whose books might never have appeared in my local bookshop thanks to indie publishing. Mainstream publishing might be about many things but one thing it is absolutely about is making money. Books that have a very narrow, niche audience will struggle to fit that broad market approach. But in an indie landscape, and with widespread access to an ebook you can download and that isn't sitting taking up space on a shelf, it is easier for authors to reach their audience - and for that audience to find the authors speaking in the voice they want to hear. That problem of books taking up space on a shelf has an odd knock-on effect sometimes. After a while, when physical books aren't selling as well and just start gathering dust in a warehouse, they often get the price knocked down. Which is great for picking up a bargain sometimes. Ebooks from the big publishing houses seldom get the same treatment. Fairly regularly, I'll see prices on physical books from publishers at prices lower than the electronic version. A couple of weeks ago, I saw one book at $9.99 on Kindle... and $0.01 as a physical book. Now that might be great if you want to grab the physical book itself. Boom, done and on your shelf in no time. Me, I'd have to whack a substantial amount on top of that in cost to ship to where I am, and I'm not in the only international market that would face that situation, so why not cut the ebook price too? The problem is that while a publisher might cut the price of the physical object to clear out that valuable warehouse space, I find too often that big publishers don't bother to cut the price of their electronic content. After all, there's no worry about the space it takes up and they don't have to clear out the old to make way for the new. I find indie authors much more adaptable to the market and inventive in finding ways to get their book in your hands - and often at a bargain price. 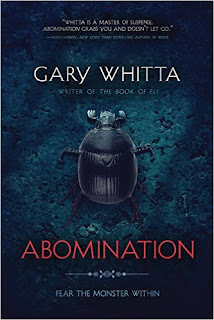 Gary Whitta is a successful author and screenwriter - you may well have seen the movie The Book Of Eli that sprang from his pen - and the other day I picked up his book Abomination through Inkshares for just 99c. There are bargains galore as authors promote their work, so you might well end up with half a dozen books by indie authors for the price of one from a mainstream publisher. Now the book may be cheaper, but your time isn't worth any less, so the authors have to work to make sure their book is worth that time - but the same has to be said for any author, mainstream or indie. Why should readers pay attention to self-published authors? Well, the big publishing house are. 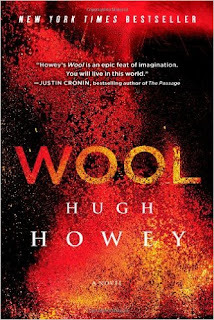 Authors such as Hugh Howey, Meredith Wild and Bella Andre have signed great deals for print books - while you might just have seen a little movie called The Martian which stormed its way to the door of the Oscars. That started out as a self-published ebook. Did the authors suddenly become better authors the moment they signed that piece of paper with a major publishing house? No, they were diligently working before that, producing great material and that deal lets them take it to a broader audience with the oomph of a major publisher behind them. But the quality? That was there all along. Now this one is a positive when done right - and one of the negatives that cloud people's perceptions of self-publishing. When you pick up a self-published book, you are likely getting the book exactly as the author wants you to receive it. When you publish through any publishing house, big or small, editors there might argue with an author to snip this out, remove that, change this. Those editors are trying their darnedest to get the book into the best shape it can be in order to reach an audience - and credit to them for that. There are a great many independently published books that could use their skills, let's be clear. One of the biggest - and thoroughly valid - criticisms of self-publishing is that there are too many books that are badly put together and poorly edited and there are indeed books out there that could use a skilled voice telling the author how to make their book better. But equally there are great authors who trim parts out of their books in the editing process who feel the final outcome isn't necessarily the true vision of their book. When Stephen King's book The Stand was first published, Doubleday felt that readers wouldn't buy such a long book and King cut out 400 pages or so of material, restored in the uncut edition published years later. Now if you're publishing your own material, you get the say in what stays, and what goes - that's a double-edged sword that depends on how good your judgement is, but it means the final product is absolutely your vision of how your novel should be. There are absolutely hazards in self-publishing, and problems the market faces - though sometimes I think the biggest one is simply the feeling of being in an infinite library and wondering where to find the good stuff. The other hazards belong in another blog post, another day. For now, here are five great self-published titles I urge you to try that I've dived into myself in the past year. Howey is one of those authors mentioned above who became a bestseller on the strength of his self-published title Wool. It's a post-apocalyptic thriller in a world where people live in a silo deep in the ground and the greatest taboo in society is to go outside. I would never have encountered the work of Bonnie Milani if it wasn't for self-publishing and that would have been a crying shame. Home World is a smashing sci fi thriller in a future world of genetically altered humans, interstellar warfare and Machiavellian moves where marriage may just be what stops it all from going to hell. 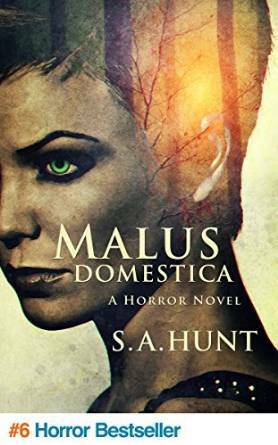 The central character of this bloody horror tale is a shaven-headed punk girl with a blue mohawk riding around in a beaten-up van as she makes a living with her YouTube channel about hunting witches which she uses as a cover for actually, truly hunting down witches. And now she has a chance to hunt down the witch who killer her mother. If you're still reading this and haven't clicked on the link to go buy it already, I don't even want to know you. This book took me by surprise. Under a fairly unassuming cover lurks a high-octane thrill ride that spans the globe. A wormhole experiment goes wrong, unleashing an alien creature into the world that starts to kill its way towards the equipment that created the shift in space. 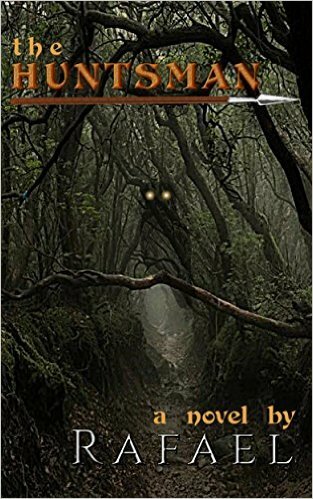 Standing in its path are a zoologist brought in to explain the grisly murders and the huntsman of the title, an expert in tracking down wild creatures now faced with the greatest hunt of all. It's a rip-roaring read in the fashion of holiday blockbusters by the likes of Michael Crichton and it was an unexpected delight to read. This one I haven't opened yet and I'm still recommending it on the strength of how often my fellow author Ricardo Victoria raves about it. It's a story of fantasy and horror intertwined and... well, the rest I'm about to discover for myself. I'm sure Ricardo will chip in with his own reasons in the comments. 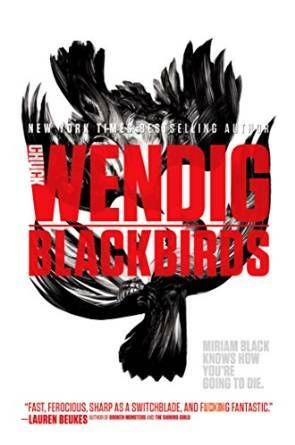 I'm not even sure which of Wendig's stories are under the self-published category at present and which are with publishing houses but he's such an ardent advocate of independent authors and the work that they need to do to make sure their work can compete with mainstream publishing houses that I have to recommend one of his titles - and I'd start with Blackbirds, which is a terrific, no-holds-barred tale of a woman who is an expert at making all the wrong choices, messed up in the head from her "gift", the ability to see the death of people who she touches. It's feisty, it's funny, it's absolutely adult-only, and it's why Wendig is worth paying attention to. Got your own suggestions? The comments section is all yours.